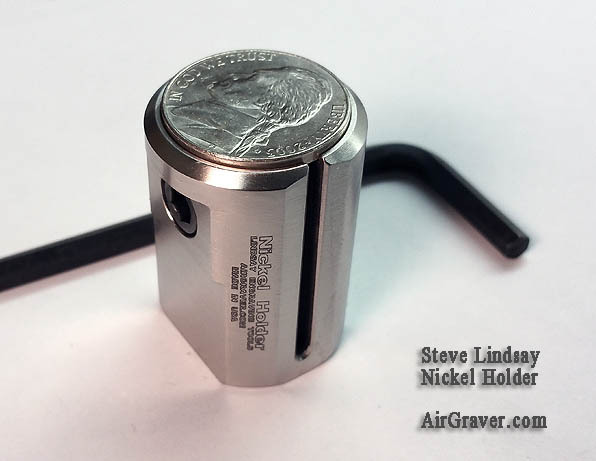 Recent Information to the AirGravers will be announced on this page. If you have visited before and want to check what is new, take a look here first. 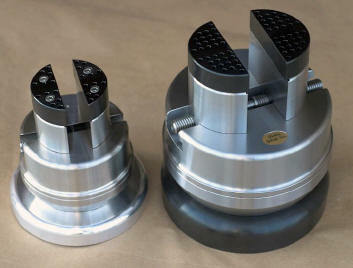 If you are into some harder metals and breaking points, this fixture can help to modify the cutting edge of Uniform Parallel points™ with a very tiny squared off facet on the cutting edges that provide a bulldozer effect. 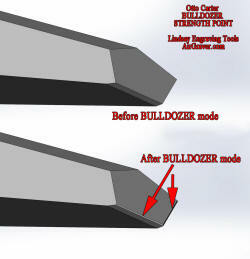 Use on the edge of a table as shown below to help align your stone. 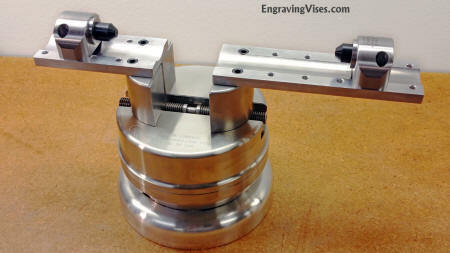 This fixture helps by positioning the cutting edge parallel to the edge of the fixture where the stone is used. 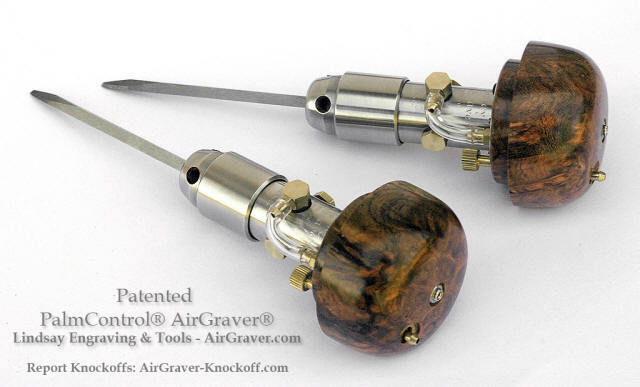 Note the side of the pointer the graver is placed on. The point should point away from the pointer. Click photos to enlarge to help see detail. Arkansas stone sold separately and together as a set. 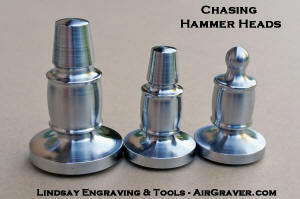 Engraveable heads - These heads are made from 416 stainless and can be engraved. 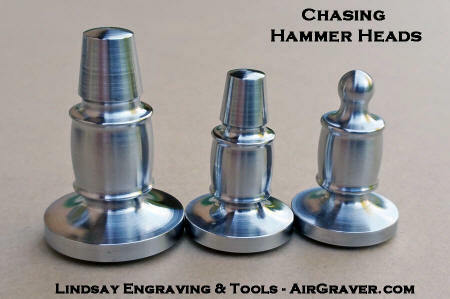 If you'd like to engrave a hammer head 416 stainless at 25Rc to 30Rc cuts and engraves easily. 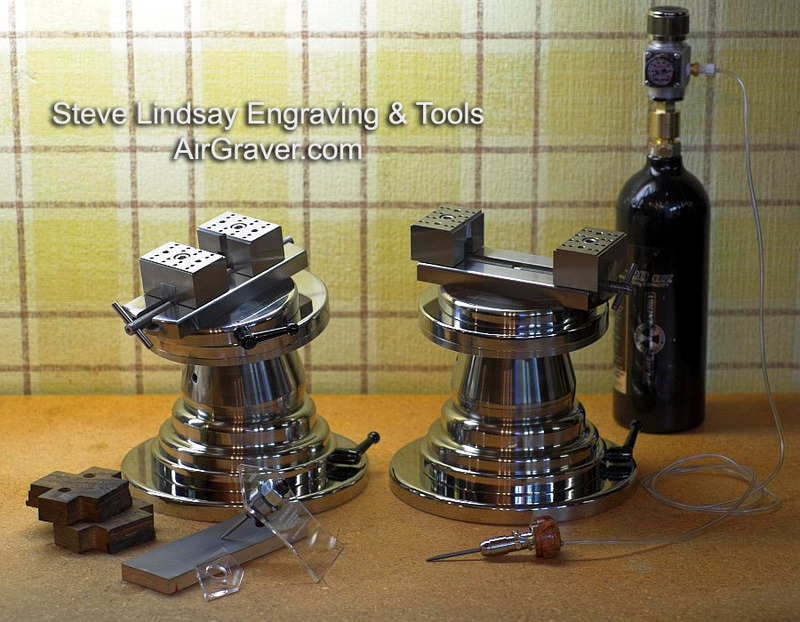 They come polished and ready for engraving. 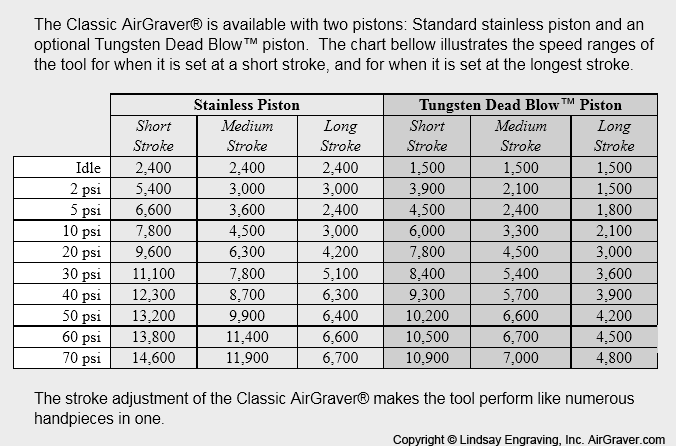 However if you use the hammer the 416 stainless can dent. They are shipped without a handle. If you'd like a handle for them order it above. 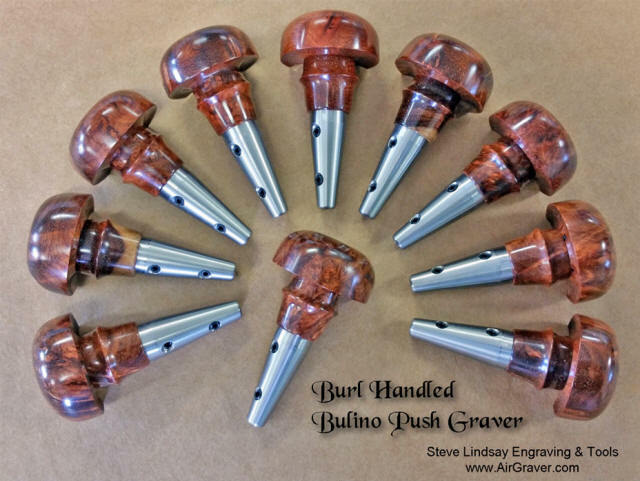 Handles are $15. 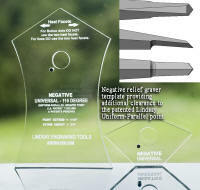 Negative relief 116 Uniform-Parallel Graver Point™ template. This template is the same as the normal 116°, but the relief grind under the heel is negative. 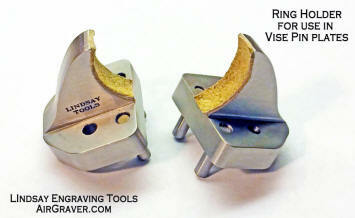 The purpose of this negative grind is to achieve more heel clearance. 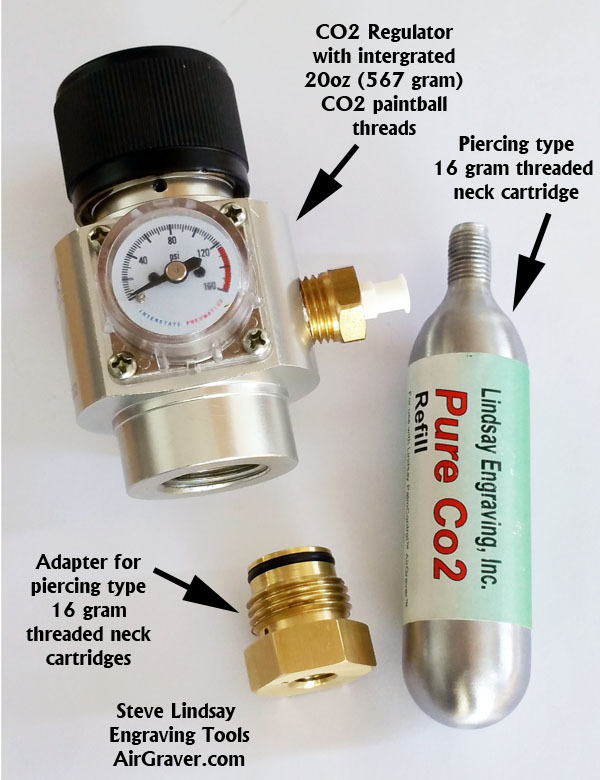 This additional relief was described in the Lindsay Uniform-Parallel Point™ patent, but this is the first template made available to actually achieve this point. 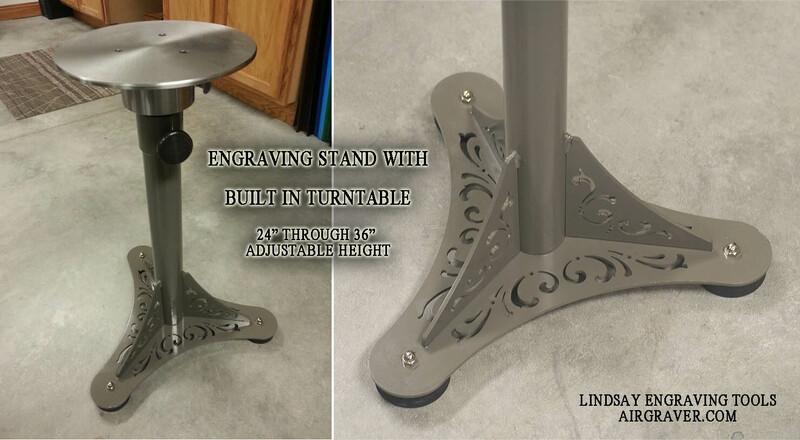 This template requires that the height of the grinding lap or bench stone be 3/4" instead of the usual 1/2" seen in all previous templates. 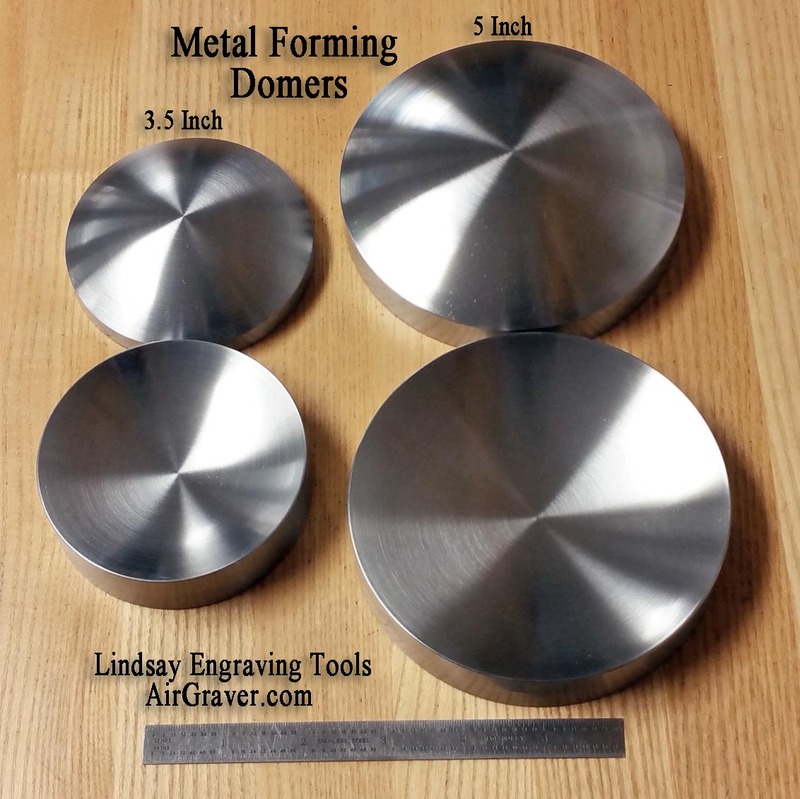 I recommend just shimming your 1/2" stones up the last 1/4". 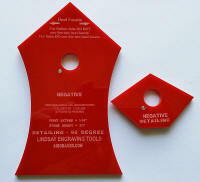 The plastic 6"x6" plate included with the full sharpening kit happens to be 1/4", so that can utilized. 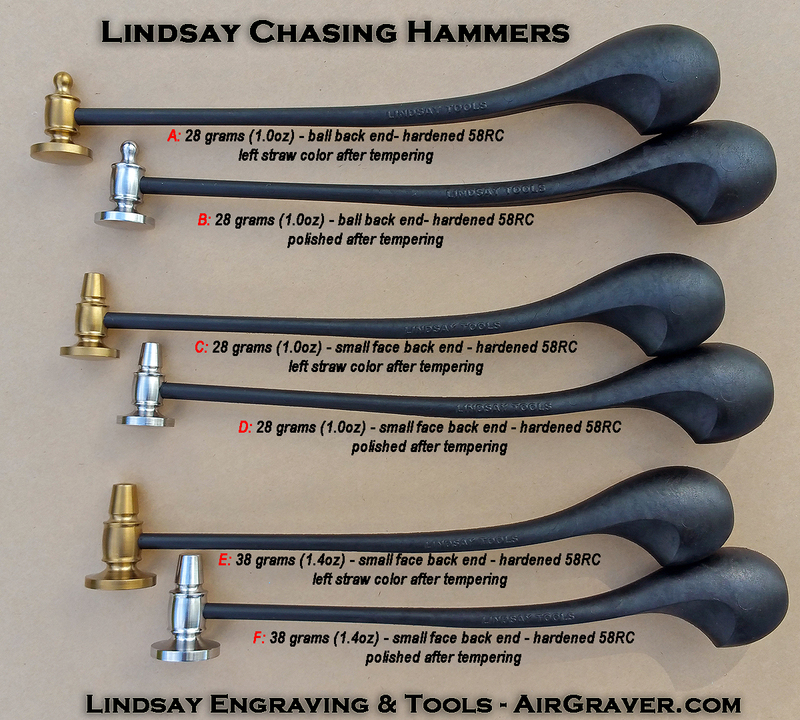 A power hone for initially shaping this is helpful. However it can be done with the diamond bench stones. Steve tested how long it would take him to sharpen one from a Carbalt™ blank on the diamond bench stones. It was 15 minutes. 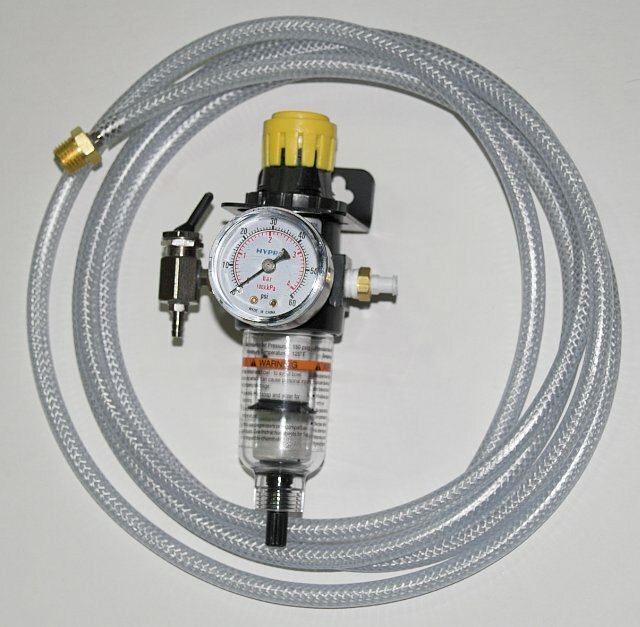 Of course starting with a the 3 degree tapered Carbalt™ blank would considerably shorten the time. "Detailing 96 degree" Uniform-Parallel Point™ template. This is the same type of Negative relief template described above but it makes a Detailing 96 degree angle. 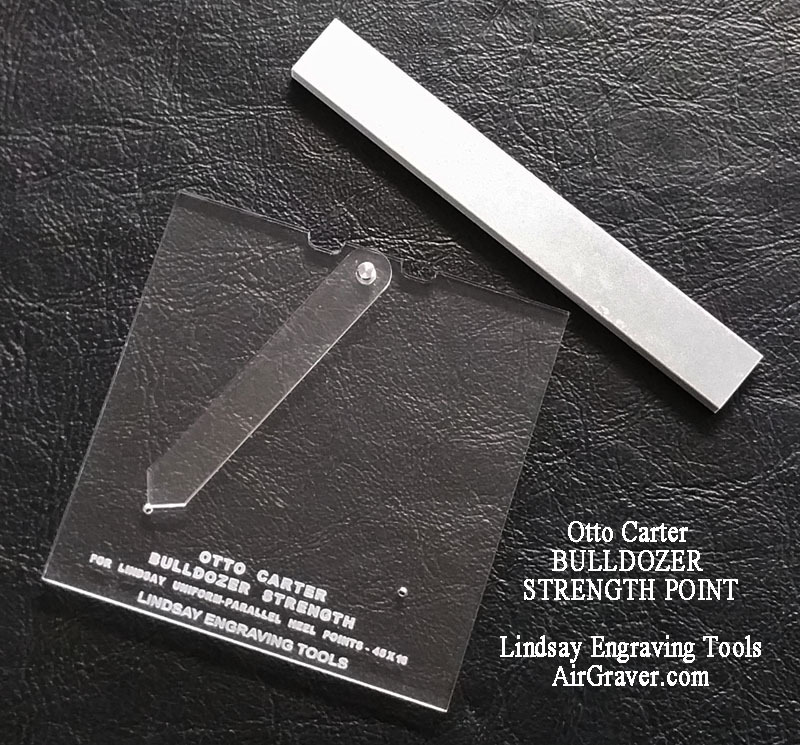 This is the same type of Negative relief template described above but with more relief as well as it will make a narrower shank. Single indexing assures quick change to same oriantation each time. Quad indexing allows four choices of orination of the collet and therefore the graver you are using. These quick change extensions won't wear out. 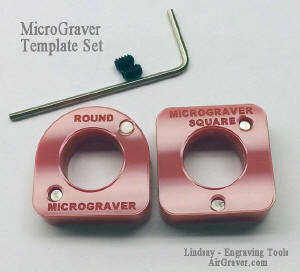 They are made from 440C stainless and hardened to 60 Rockwell. 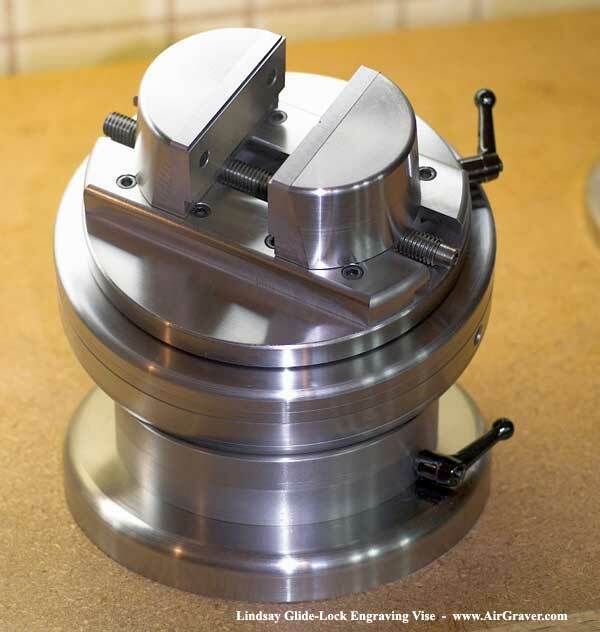 60 Rockwell is as hard as a high speed steel graver and therefore these QC extensions are made for a life time of service. 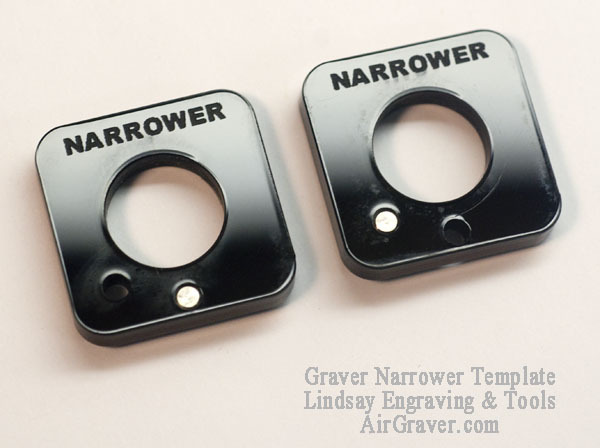 They are detented for a snap in fit utilizing the internal O-ring in the nose of the AirGraver® handpieces. 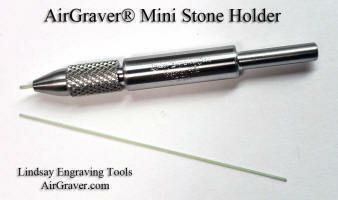 They extend a graver 5/8". adjustable height from 24" to 36"
Thanks to Paolo Curcio (mrthehobonickels.com) for development ideas and help with this template set! This double thickness template set is similar to the "Narrower" template above, however the square in this set is smaller. 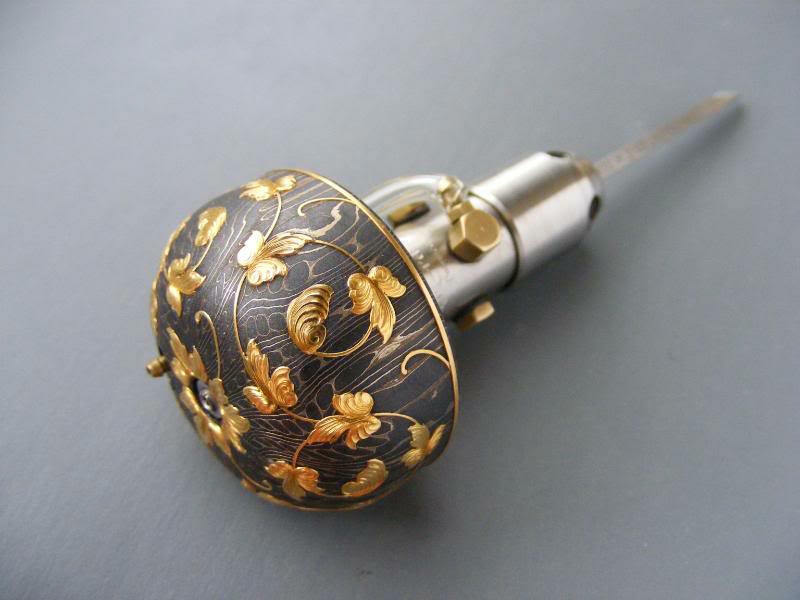 It is used to narrower the graver too, but so that it closer to parallel with the shank, so that the grind is more long and slender. After the square template is used, the round is used to round the top edge of the slender shank. 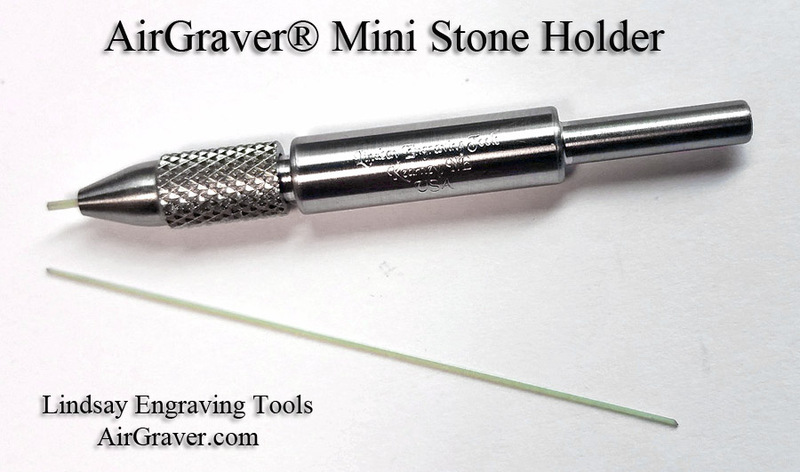 After this the graver is sharpened normally with the other available templates to make micro versions of the graver points. 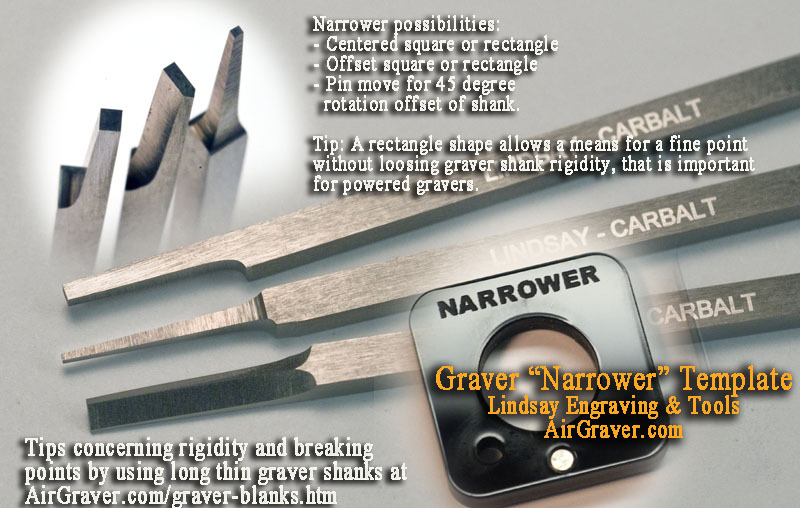 View the information and tips concerning rigidity and breaking points if using thin graver shanks on the Graver blanks page. Note: the 3 degree or 2 degree taper is recommended over straight or 1 degree tapers. 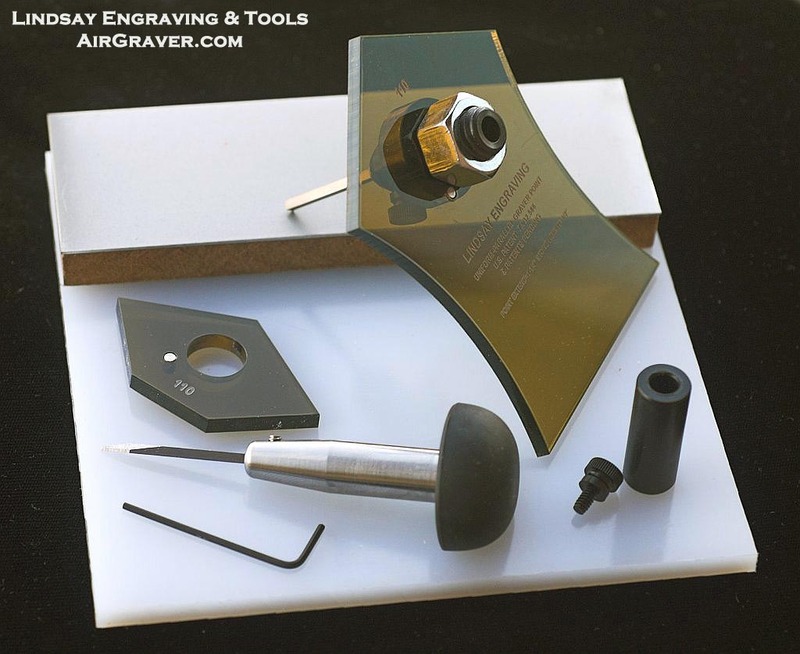 If new to engraving stick with the 3 degee to keep the rigidity in the shank while learning. $23 each. The photo below illustrates three thinning techniques. 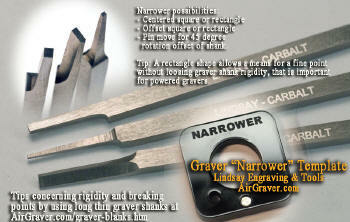 Thinning the tip of the blank can be done using this template which fits on the Lindsay sharpening fixture. 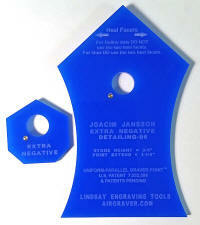 Negative relief 116 Uniform-Parallel graver template. This template is the same as the normal 116°, but the relief grind under the heel is negative. The purpose of this negative grind is to achieve more heel clearance. 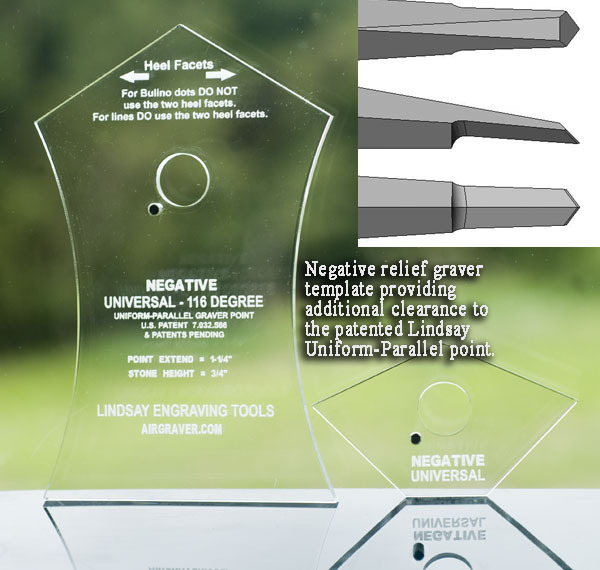 This additional relief was described in the Lindsay Uniform-Parallel patent, but this is the first template made available to actually achieve this point. 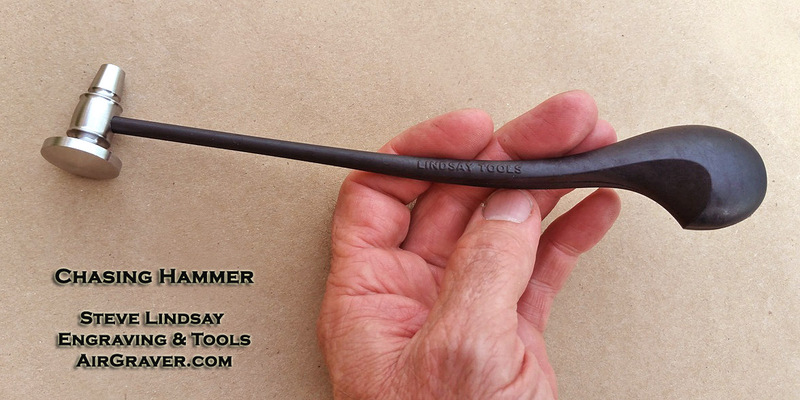 A power hone for initially shaping this is helpful. 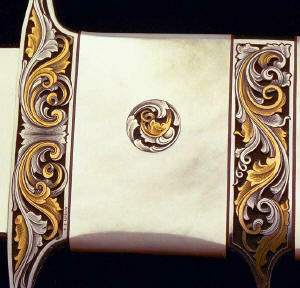 However it can be done with the diamond bench stones. Steve tested how long it would take him to sharpen one from a carbalt blank on the diamond bench stones. It was 15 minutes. 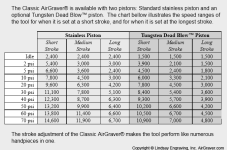 Of course starting with a the 3 degree tapered carbalt blank would considerably shorten the time. 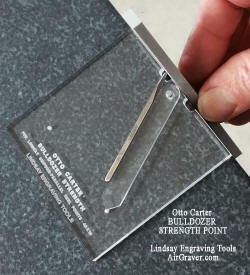 For securing sandpaper strips. Length of the sanding block is 2.5". Cut your sandpaper 0.5" wide x 4.75" long. 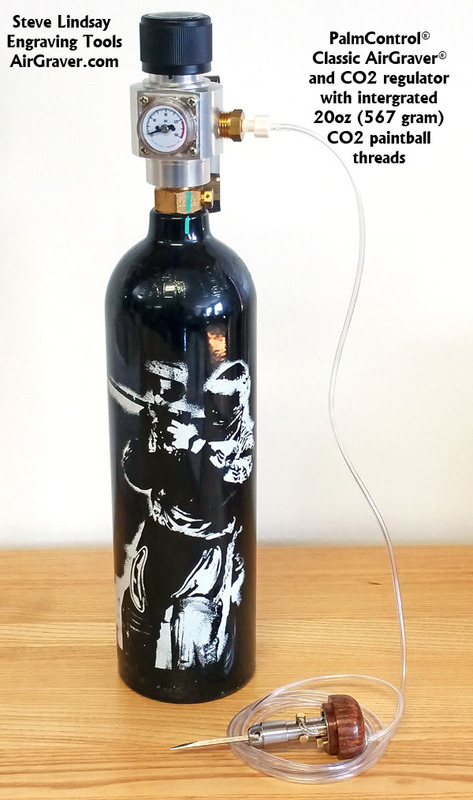 Click photo for high resolution image. 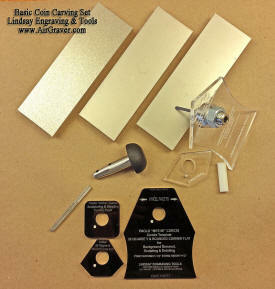 The most popular of the V templates used to make bulino points are combined in a set. 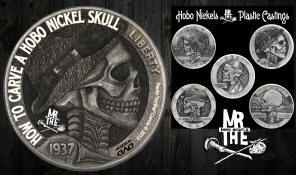 Includes: 80V, 90V, 105V, 120V and the Phil Coggan Bulino template. New Website: EngravingLessons.com - Click here to check it out. 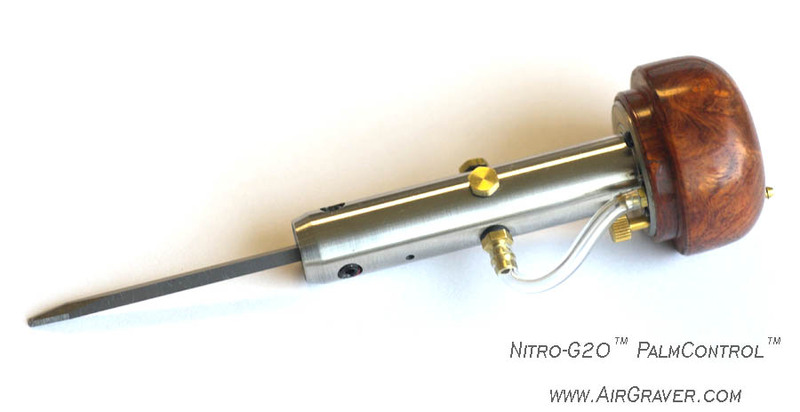 Link to product page with NitroG20 handpiece. 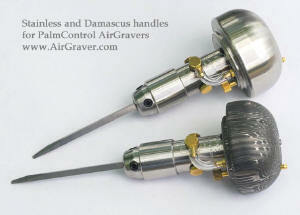 PalmControl® and Goliath Engraving Vises now available. 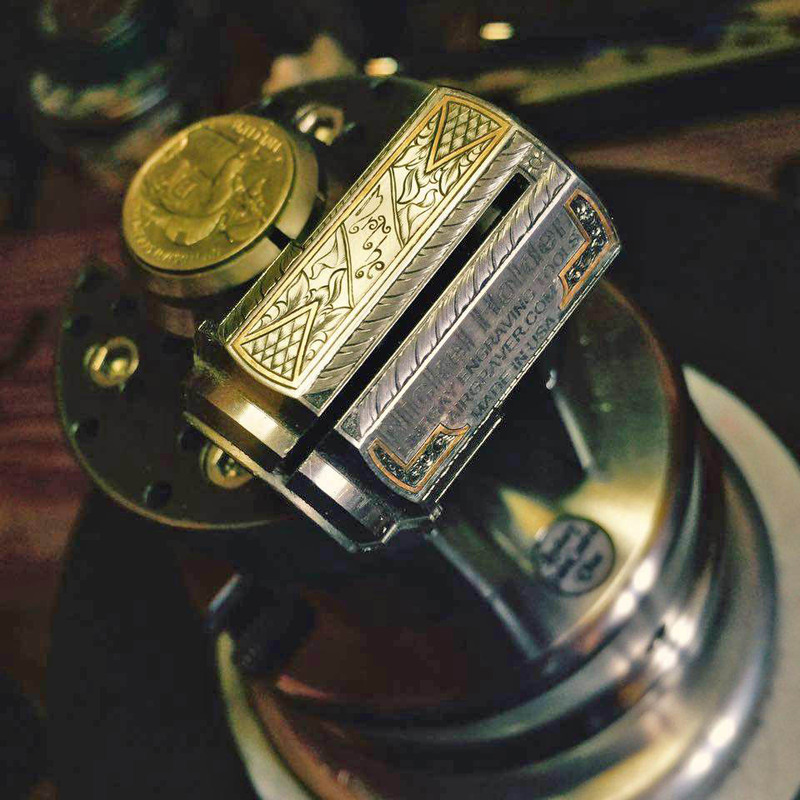 Barry Lee Hands gold engraving work on PalmControl® Damascus handle. 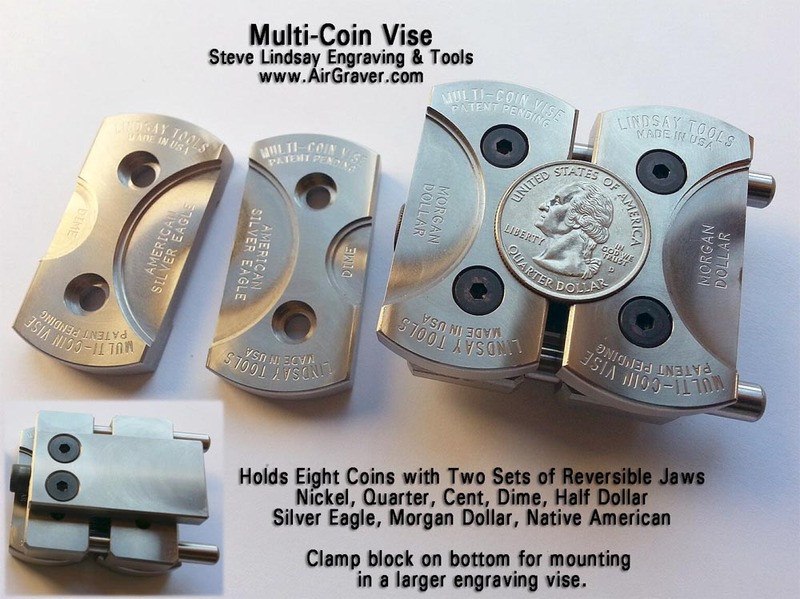 More information on the engraving forum. 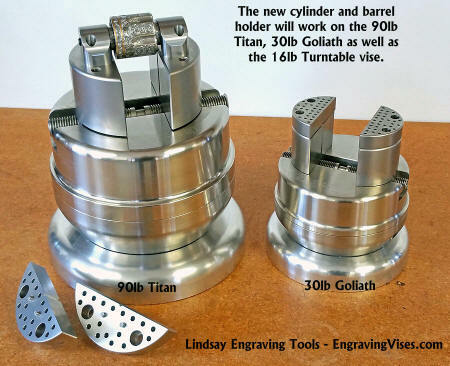 New construction and building for Lindsay Engraving Tools. 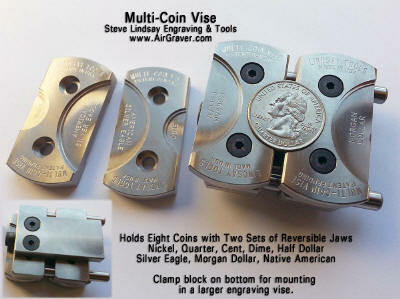 Information and photos on the engraving forum. 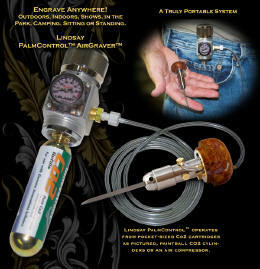 Scottee-Shirts is providing t-shirts, (short and long sleeve) and hoodies with Lindsay PalmControl® AirGraver® and scroll designs. 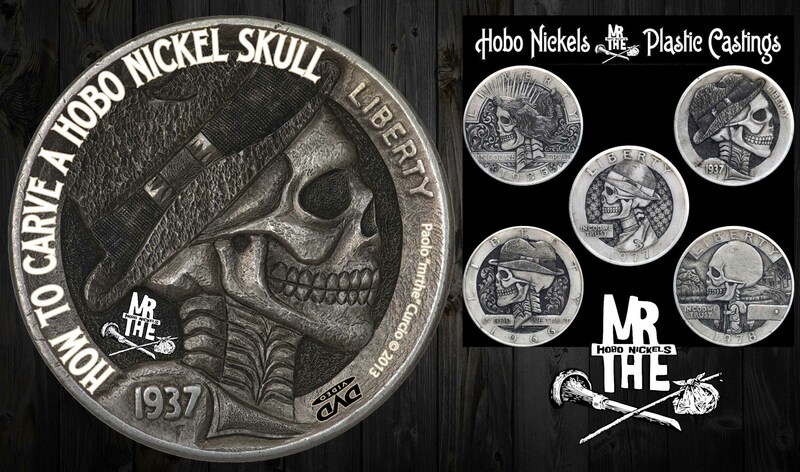 Check out the caveman master engraver Cindy drew. Select the images and locations on the shirts and order direct from Scottee-Shirts site. Manual Palm-Push adjustable length graver with supple Santoprene rubber handle (click to enlarge). 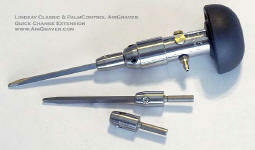 Manual Palm-Push stainless adjustable length graver with sharpener. 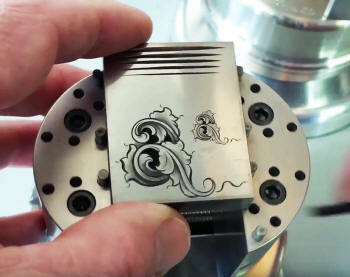 Over ten hours of videos of hand engraving are free on youtube. Watch these videos on-line with your computer. 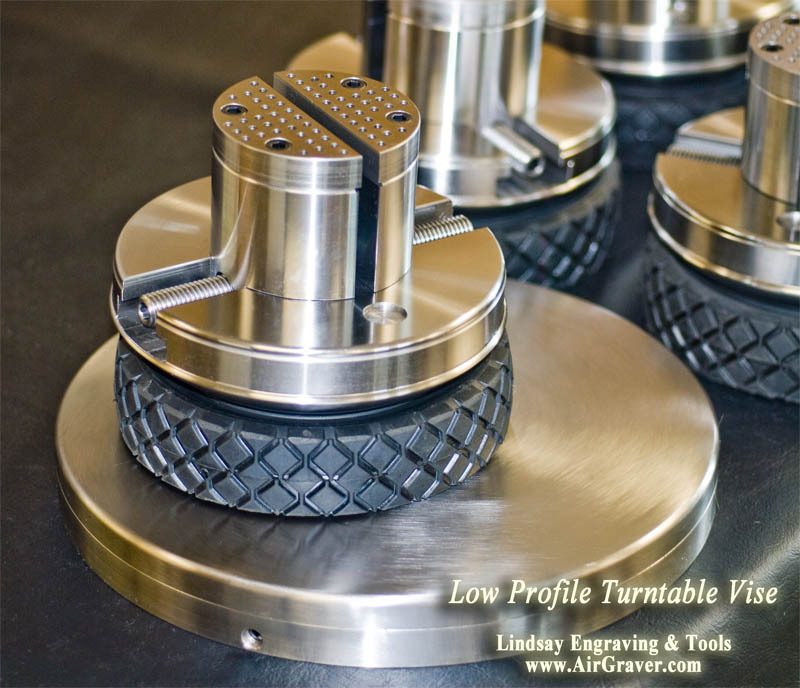 The Llindsay AirGraver® tools are used throughout the videos. 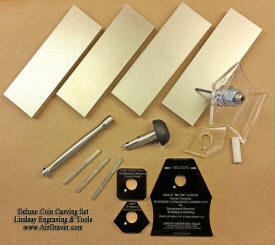 See and hear how these tools make hand engraving easier than any tool before it. 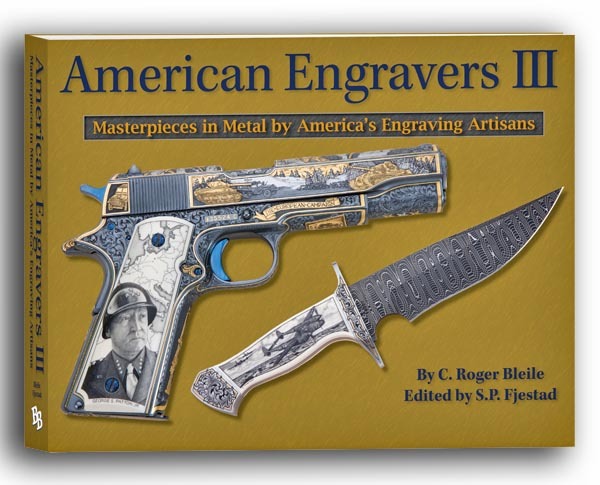 One of the projects that being engraved in the videos is a SR Johnson knife that is valued over $50,000. The collector of the piece, Dave Ellis of www.exquisiteknives.com was recently offered $30,000 for the completed knife and turned it down. 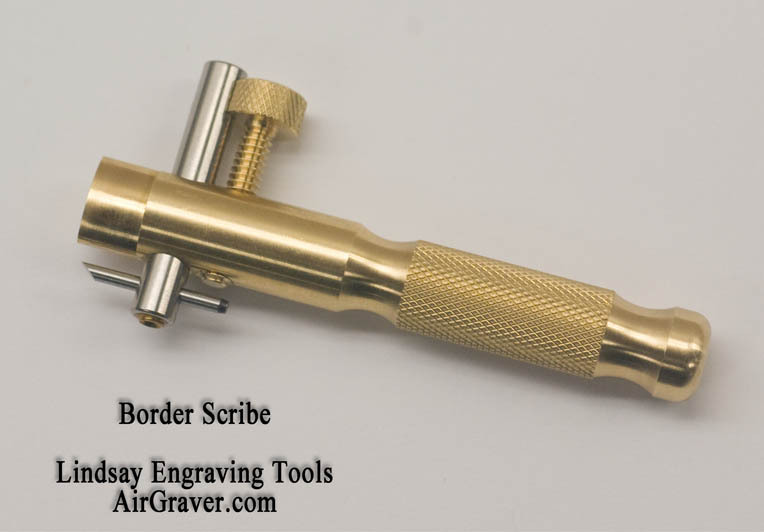 These videos are a great aid for those learning to engrave. 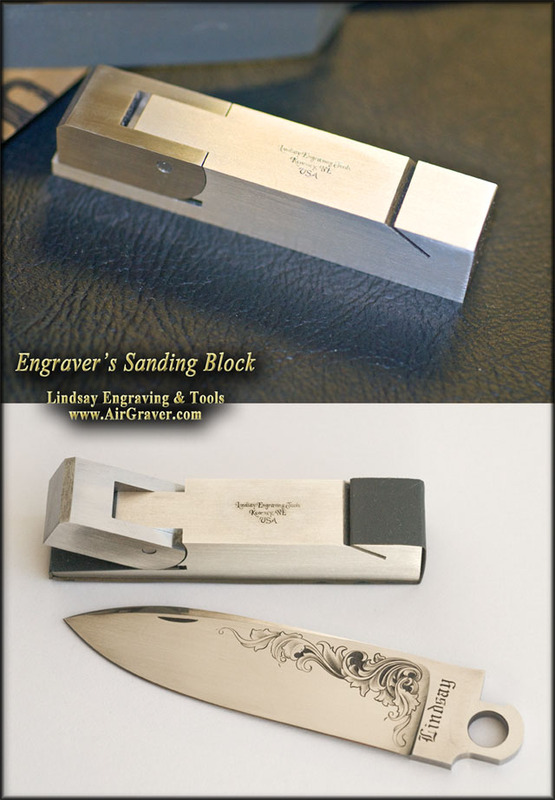 Completed photo of the SRJ knife that was engraved in some of the videos. Click to enlarge. 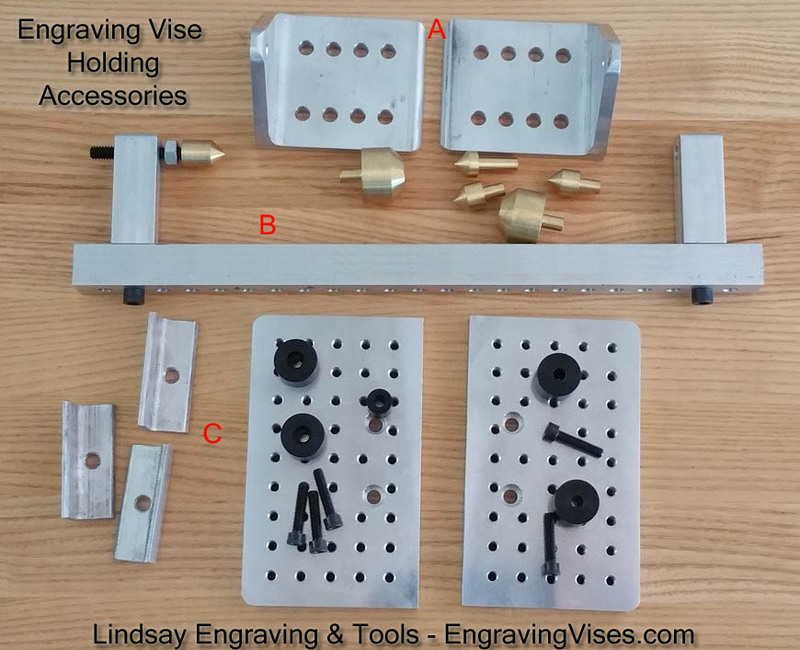 Larger version of the Glide-Lock engraving vise. 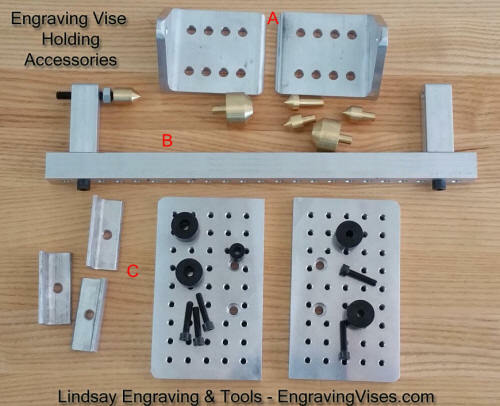 Info on the vise page. Two more new templates are available for the sharpening system. 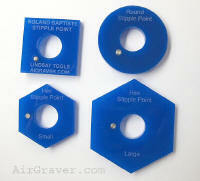 They are the Phil Coggan bulino template and the round bottom template. Two new templates are available for the patent pending sharpening system. 1:Flat & Knife Combo for making flats or a small undercut gold inlay graver. 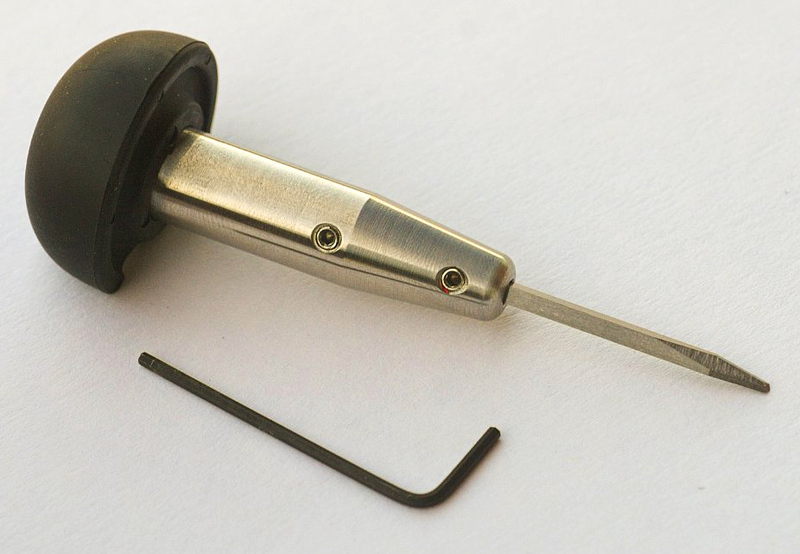 2: 70 V Bulino Uniform-Parallel point™ Used with a heel for lines or without a heel for bulino dots. Lindsay-Lindsay #5 Commissioned and purchased by a U.S. collector in Dec. 1994. Due to recent illness the collector is selling the knife. $110,000 or best offer. 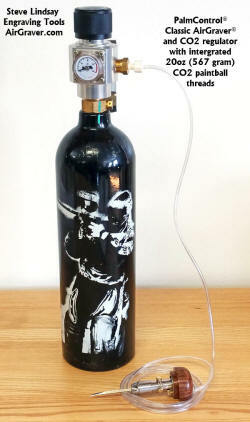 Visit this link for more information and photos. 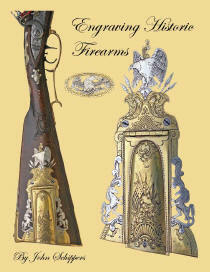 The art knife is featured on the cover of the book, "Art and Design in Modern Custom Folding Knives", by David Darom. Old engraving books found online for viewing. Link to forum thread about the books. 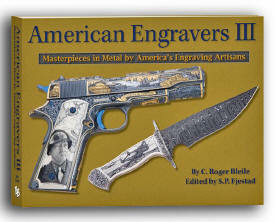 New Book mixes inspirational Knife Art & Engraving with how-to information. 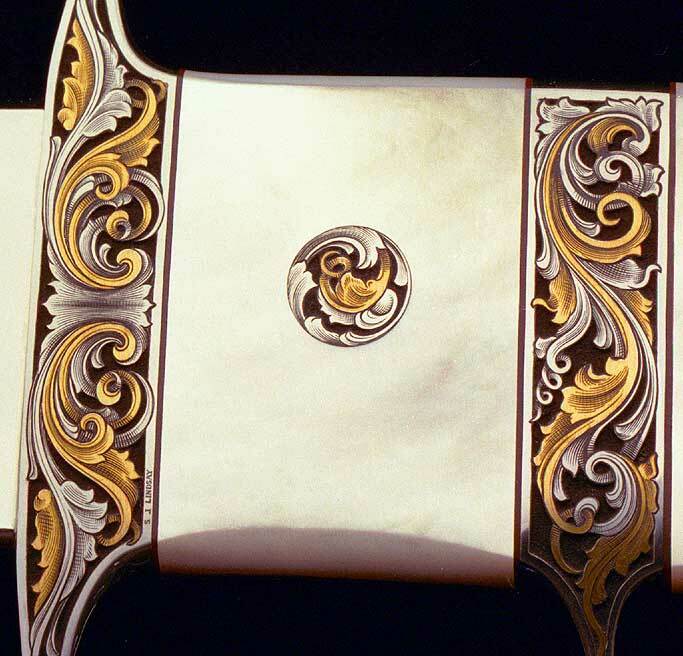 To be first unveiled at the New York custom knife show March 7, 8, 9, 2003. 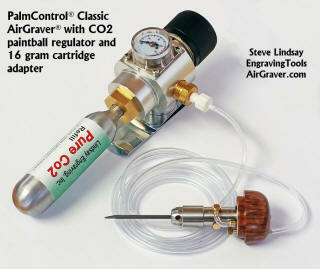 Artist Adone Pozzobon has written a new review about the AirGravers on the EngravingArts WebSite.